2014 has been another incredible year for Rangers Valley. We were talking the other day about some of the highlights and this one in particular stands out. 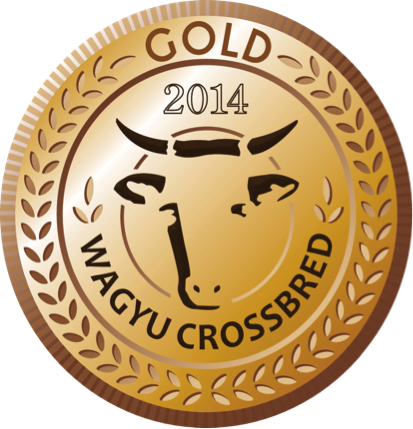 For the third year in a row, our cross-bred Wagyu has won Gold at the Annual Australian Wagyu Branded Beef Competition. This year the comp was held on the Gold Coast in Queensland and competition organisers, Australian Wagyu Association, are to be congratulated on the event. Year after year it proves to be professional and entertaining. We find ourselves in some pretty decent company with other top Wagyu brands all bringing a friendly rivalry to a an incredible category. The judges, Andrew Ford, Chris Jackson, John Alexander, John Kilroy, Jon Condon, Matt George, Shane Keightley and Zoran Stojcevski have a great deal of experience with Wagyu of our calibre and we’re thrilled they saw fit to make our win another Gold. Competition Criteria: Visual Raw, Tenderness, Juiciness, Flavour, Overall liking. We’d like to acknowledge and thank each and every one of our team members. The massive effort these people put into our Premium Black Angus and Wagyu year after year is inspiring, and clearly, it shows. We know we make every effort to develop the most cared for and best tasting beef we can, but this win just further concretes that in our minds and drives us to maintain standards – even strive for improvements across the coming year. To everyone involved in our Wagyu – both our teams and the good folk who buy and consume it – congratulations! This is really a win for everyone! https://www.rangersvalley.com.au/wp-content/uploads/2013/02/rvLogo.png 0 0 Rangers Valley https://www.rangersvalley.com.au/wp-content/uploads/2013/02/rvLogo.png Rangers Valley2014-12-22 07:56:552015-06-12 06:13:16Gold for our Wagyu! Third year running. Rangers Valley - a virtual panoramic tour. 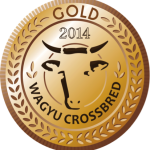 Gold Medal for Rangers Valley Wagyu - Fourth Consecutive Year! A closer look at Black Market Beef Rangers Valley – a virtual panoramic tour.